President Donald Trump’s national security adviser John Bolton has warned nations seen as obstacles to U.S. plans for Latin America that they must leave Venezuela and stop defending the socialist government opposed by the Trump administration. Bolton praised President James Monroe’s 19th-century efforts to expel European colonial powers from the continent (known as the Monroe Doctrine) and President Ronald Reagan’s anti-communist crusade there in the 1980s—policies that greatly expanded the U.S. footprint in the region. He also railed against attempts by Trump’s predecessor, President Barack Obama, to diplomatically court leftist Latin American leaders long targeted by U.S. foreign policy. Obama’s decisions to reverse decades-long trends in isolating the Shiite Islamic Republic of Iran and the communist-led island of Cuba were widely welcomed by the international community, but the Trump administration has portrayed them as pandering to traditional foes accused of human rights abuses. The current White House has rolled back both Obama-era efforts and has hardened the U.S. position internationally. With the notable exception of North Korean supreme leader Kim Jong Un, with which Trump forged a historic bilateral peace effort, the administration has doubled down on efforts to oust unfavorable governments around the world through the use of sanctions and threats of military action. Most recently, Trump warned that “all options are open” in not only deposing Maduro, but in expelling his international allies from the Western Hemisphere as well. Moscow deployed up to 100 military personnel to Venezuela last month for a “military-technical cooperation” mission reportedly regarding the Russia-built S-300 surface-to-air missile defense system. 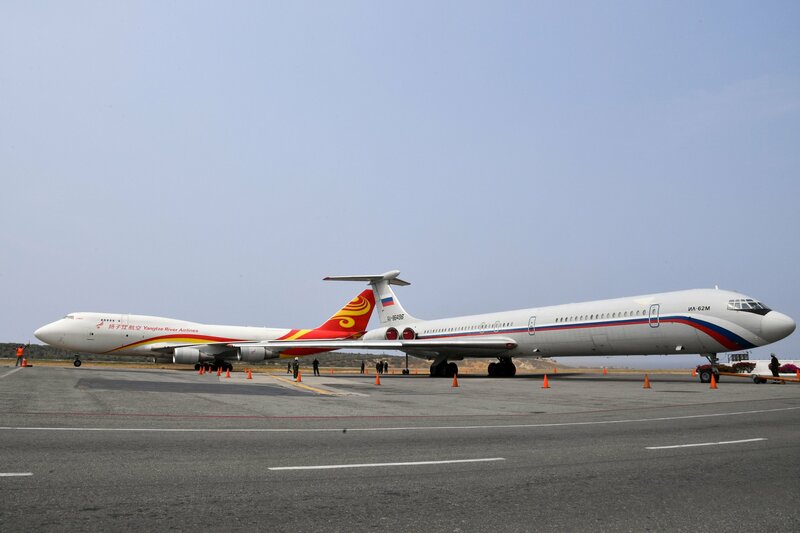 China joined Russia in also sending humanitarian assistance to Venezuela, but denied media reports suggesting Beijing sent up to 120 troops as well. Iranian officials arrived Tuesday to restart flights to Caracas via the privately owned Mahan Air, which the U.S. sanctioned for allegedly serving the elite Revolutionary Guard, declared a terrorist organization by the Trump administration this week. These countries have defended their ongoing dealings with Maduro as part of legitimate bilateral relations not concerning the U.S., which possesses a number of bases across Latin America, including in Colombia, as part of a global military network likely unrivaled by all other nations combined. 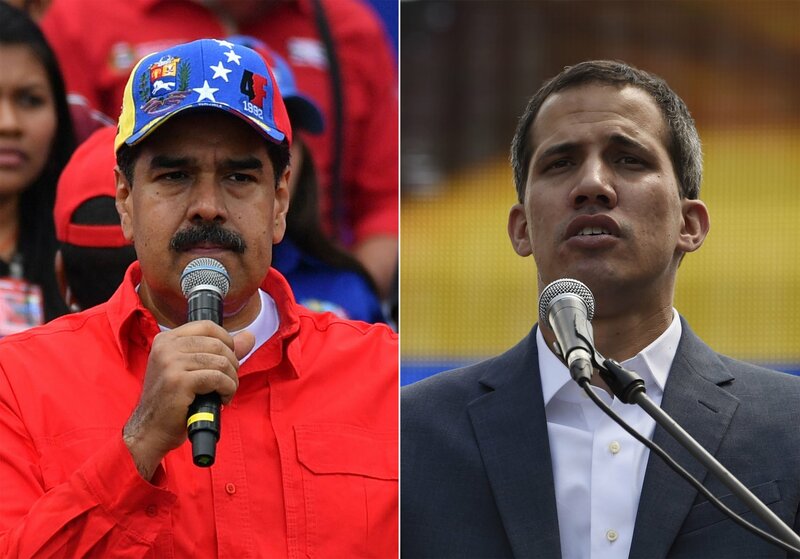 Most Latin American nations, as well as the EU, Albania, Australia, Georgia, Israel, Japan, South Korea and Ukraine, have joined the U.S. in backing Guaidó. Those recognizing Maduro included—in addition to China, Cuba, Russia and Iran—Belarus, Bolivia, Cambodia, El Salvador, Lebanon, Mexico, Nicaragua, North Korea, the Palestinian National Authority, Serbia, South Africa, Syria, Turkey and Uruguay.